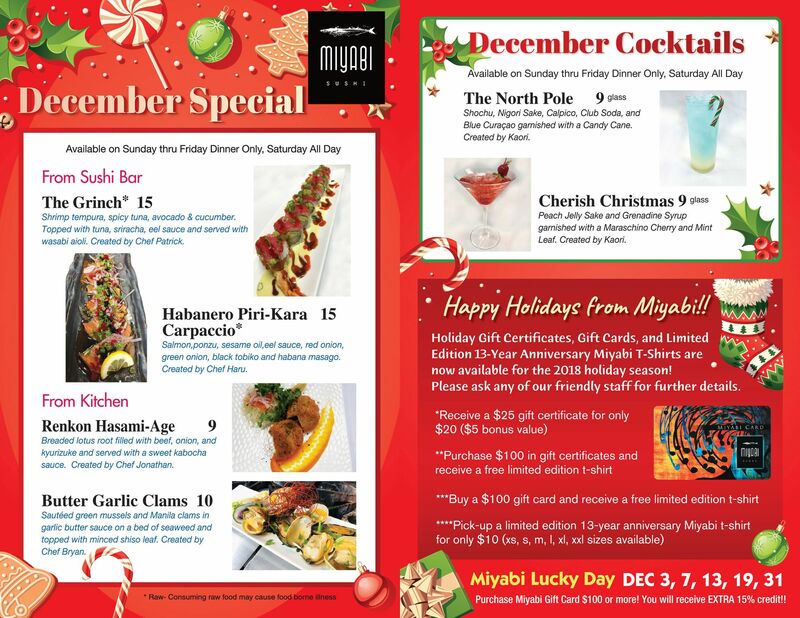 Check try The Grinch sushi roll or The North Pole cocktail! We will be closed for Sushi Bar Renovation from November 26 (Mon) to November 30 (Fri). We are very sorry for any inconvenience and appreciate your understanding during this time. We will be open for regular business hours Saturday, December 1st, 2018. 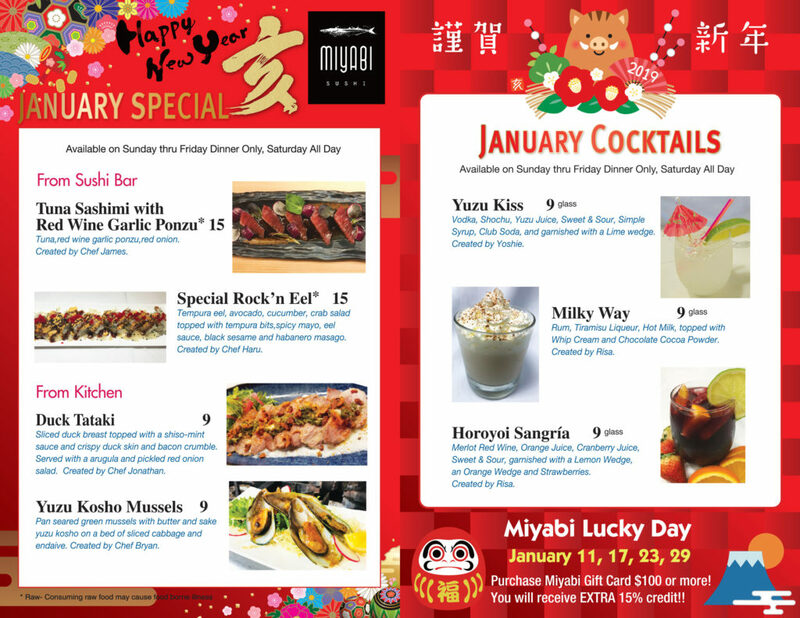 Check try our Hamachi Tapenade or Pumpkin Pie Martini! 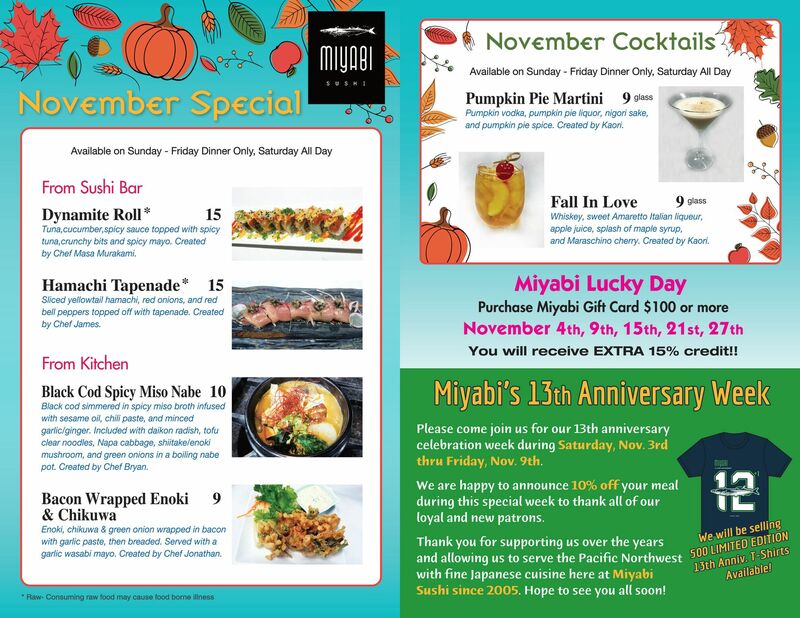 Come celebrate Miyabi Sushi’s 13th Anniversary Week beginning on Saturday, November 3rd thru Friday, November 9th. 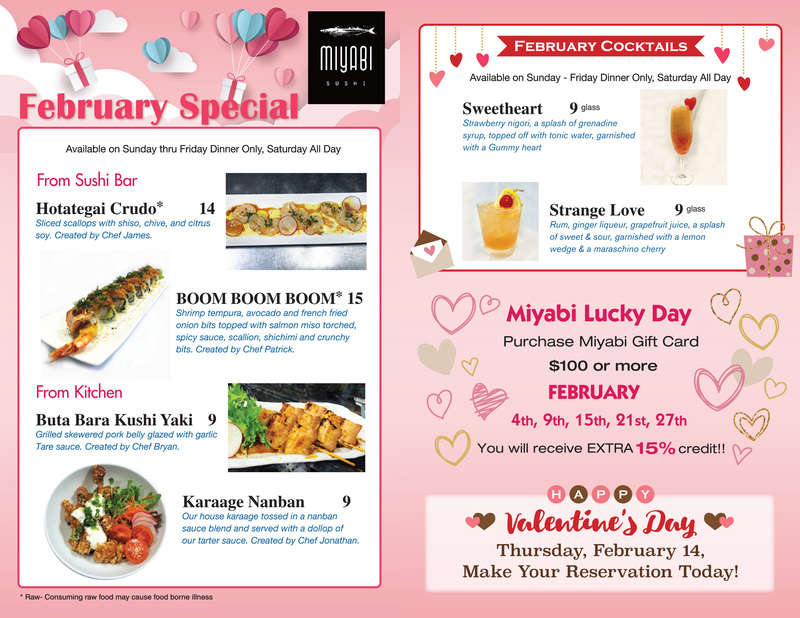 We are happy to offer you all 10% OFF on your dining experience during this special week and will be selling special limited-edition 13th-anniversary Miyabi Sushi t-shirts as well (while supplies lasts). 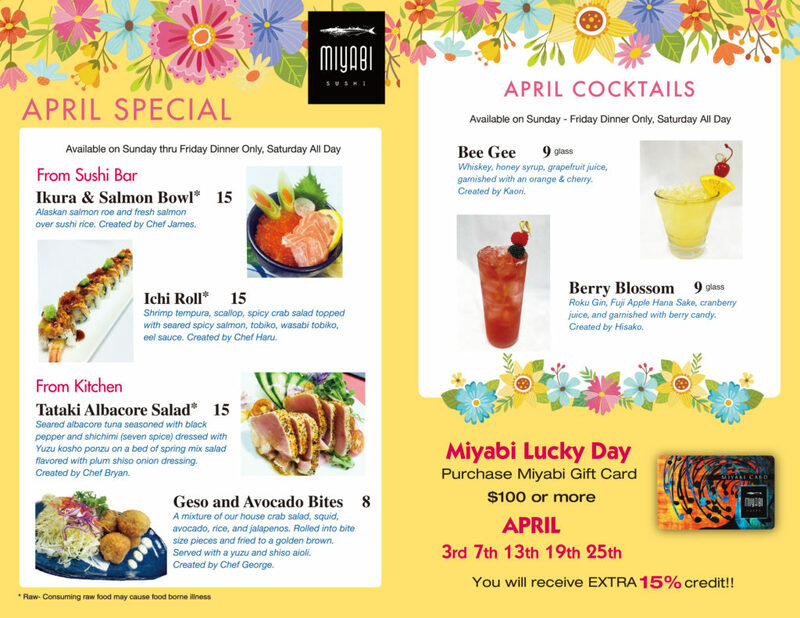 This promotion is only valid at Miyabi Sushi in Tukwila, WA (Southcenter Parkway). Hope to see you all soon! Thank you very much to all of our amazing guests, supporters, business partners, suppliers, employees, city of Tukwila, and to the local community for everything these past 13 years. 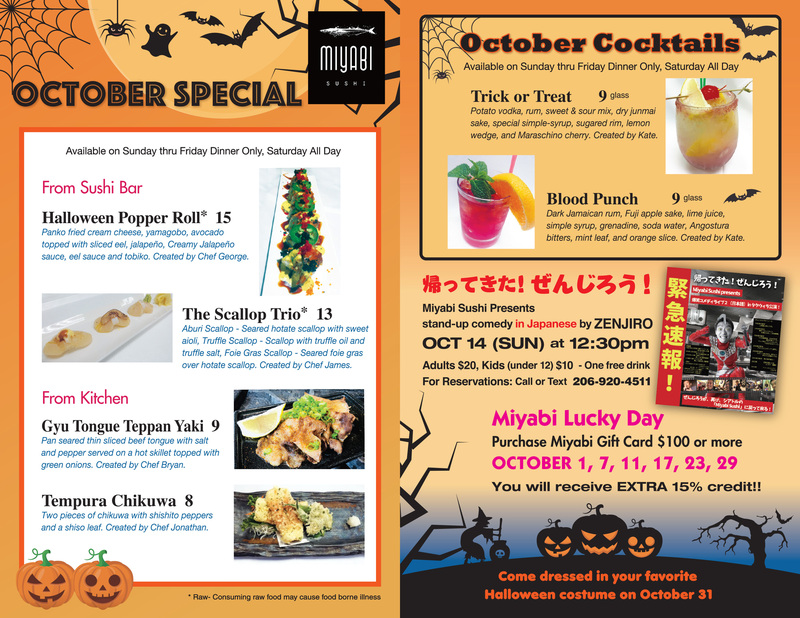 Check our our Halloween Popper Roll or Halloween cocktails! October 14th (Sunday) see stand-up comedy in Japanese by ZENJIRO entry fee $20 for adults and $12 for kids under 12. 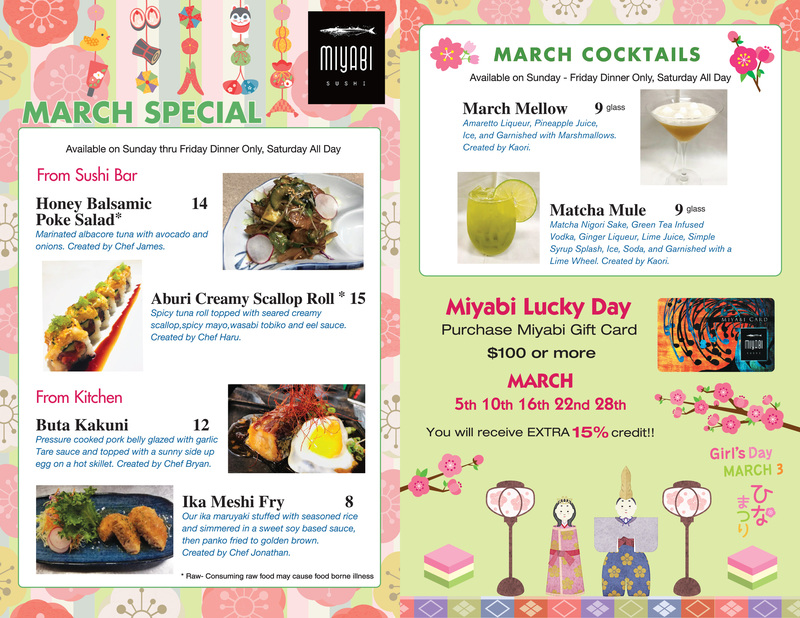 Gift card special – Every day is Lucky Day in January! !